The Export Processing Zones Authority (EPZA) through the agreement with the TIB Development Bank got access to infrastructure building loans that will help attract investors to Tanzania. The agreement between the TIB and the EPZA was reached in June 2014. 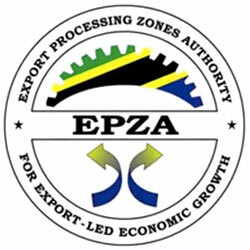 EZPA, therefore, in order to increase Tanzanian investment attractiveness, is planning to develop its operation areas. TIB Development Bank will finance infrastructure building in over 20 regions under EPZA including Mtwara, Kigomo, Bagamoyo, and Tanga. During the press conference on the 12th of June in Dar es Salaam, Dr Adelhelm Meru emphasized the importance of such an agreement with TIB Development Bank and its benefits for EPZA. “This makes us fulfil a long time dream of having necessary services and infrastructure in all our areas”, said Dr Meru, adding: “This is a very important progress”. The TIB Development Bank Managing Director, Mr Peter Noni, had also hailed the agreement and expressed his willingness to assist the development of EPZAs: “ We know the importance of areas under EPZA for the development of this country [and] we are happy and ready to offer our services toward this initiative”. Previously, the EPZA had to fund infrastructure development in its operation areas through private fundraising or requesting of government financing.